OK, so I replaced the cylinder head on the 06 2.3L Ranger. Now it won't start. It cranks, but doesn't fire up. I tested the compression to make sure the HG is good, and I have 180 cylinder 1, 180 cylinder 2, 195 cylinder 3 and 180 cylinder 4, so I think the head and gasket are good. The reason for the head replacement was poor compression and leaks in cylinder 1. This is solved, at least for now. What I'm struggling with is I have an "extra" hose, it is a little squiggly hose about a foot long, and I can't figure out where it goes. 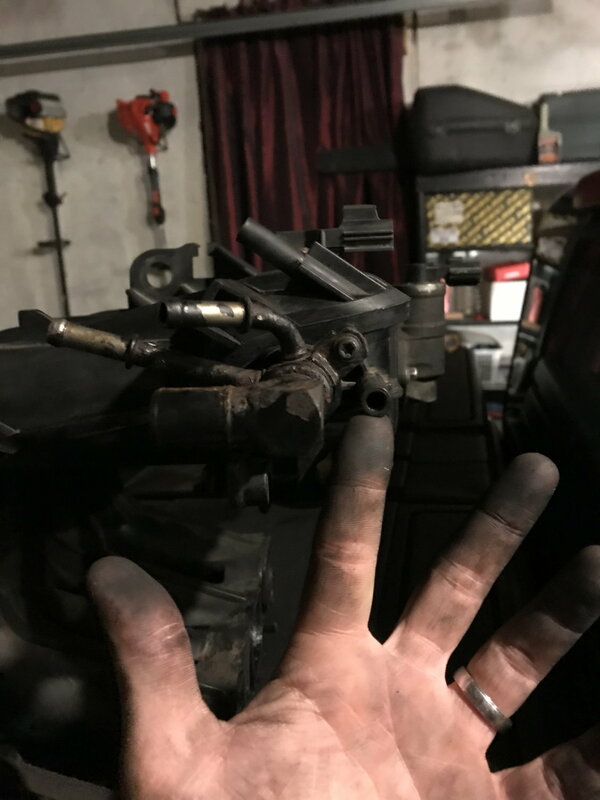 I'm worried that I connected the EGR to the wrong hose and did something stupid. I should have paid more attention during teardown, yes I am wrong for not doing that. My question is, does the EGR connect to vacuum or coolant? What do I connect to my ring and index finger ports, and from where? I should have paid more attention / drank less beer during this. Oh, and finally, would these issues cause a no start? No, wouldn't cause a no start, did crank sensor get hooked back up? The crank sensor is hooked up. The truck ran but had misfires in cylinder 1 before I started this repair. The thinking was it was a cracked head, which the new compression values lead me to believe is true. I athat problem is solved, but I can't run the truck now. I'm 98% sure everything is hooked back up, but I wouldn't be shocked if the two percent came back and bit me. Thank you Ron, I think it's time to double check that I timed this motor right. I did use the flat tool to hold the cams and the bolt for the crank on the passenger side of the motor. Then I put a bolt into the crank wheel to hold it while I torqued the crank harmonic balancer / crank pulley. I took off the steel plate at the cams and took out the bolt for the crank before final torque, I'm wondering if I am off. The last thing I'm thinking is that I did spray some non flamable break cleaner in the EGR when I had the head off, but I thintk if there was any residual brake cleaner in the EGR that it would get blown out upon ignition. Thinking this through, trying to resolve it. Ron thank you so much for your input! I have spark. I sprayed some starter fluid into the throttle body and cranked it, it caught a little bit. I'm down to fuel. How do I make sure the injectors are working? 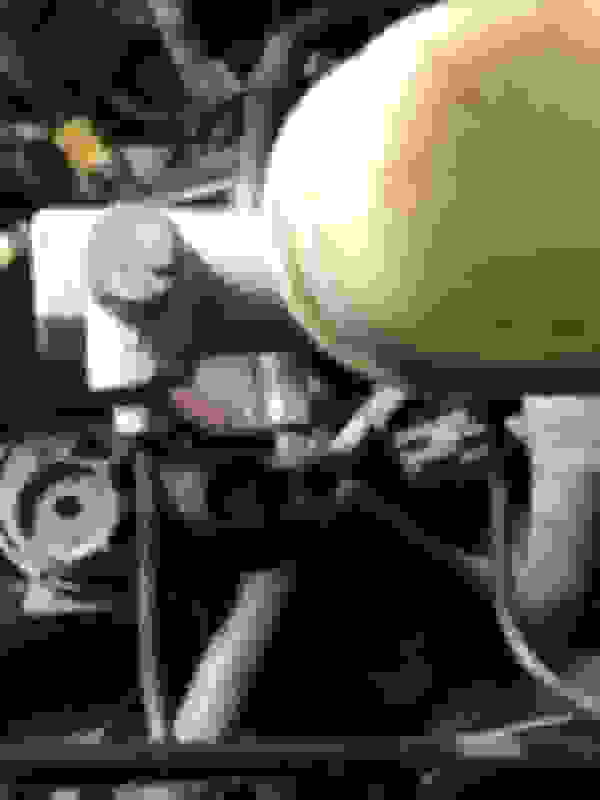 If I press in the schrader valve on the rail fuel squirts out, and I can hear the fuel pump engaging when I turn the key, so I think it's the injectors. I'll go take the intake manifold off and get to them. What do I do once I am at the injectors? All the injectors get 12volts with key on, the computer GROUNDS each injector to open it. OK. Thank you, so the good compression means timing and head gasket are good, and since it catches a little with starting fluid, the crankshaft position sensor is functioning. Got it. I have voltage at the fuel injector for cylinder 1 red wire, I just checked it with a multimeter. The cam sensor is plugged in on top of the valve cover, and all intake ports are connected. Next up is NOID light. OK, the noid light does not flash. I do have voltage there, but no flashing in fact no light at all. Noid light will only light up when it is grounded by the computer, 12volts is only 12volts if there is 0volts(ground) to cause the Flow of electricity which heats up/lights up a light bulb. Does the engine START with ether or gasoline added manually? It just "acts like" it wants to start with starting fluid, it doesn't start, run then die. I'm wondering about the ground for the head. I think I'll check that and make sure it's nice and tight. I feel like there is some stupid little thing that will solve all of this and I just can't find it. The CEL comes on with the key on, and the fuel pump runs. The engine does not START when I add starting fluid, it acts like it wants to start. It gives a chug here and there. I'm wondering if the head ground is bad? I'll go double check that. Crank and cam sensors are installed correctly and plugged in, I do not see any evidence of broken wires or anything. Is there any voltage at the sensor wire, so I can test for it? No, they are both VR(variable reluctance) sensors, which means they generate their own AC voltage when engine is turning over. 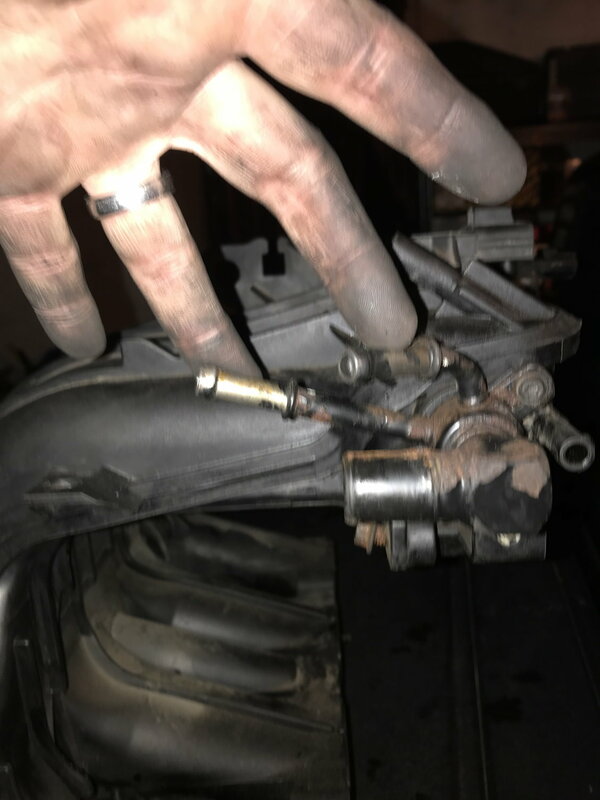 OK, I don't have an assistant today so I can't check that voltage, but I must admit I stupidly threw parts at the truck yesterday, replaced both camshaft position sensor and crankshaft position sensor. I just triple checked the connection at PCM. This is very, very frustrating. Ron, thank you again for your help. I did replace the spark plugs before I did the head, one of them is a little fouled from the misfire I had with the old head in cylinder 1, but the other three are fine. Could this be my culprit? I would think the other three cylinders should fire. You did recheck firing order? Yes, I rechecked firing order a few times. I guess I should manually check for spark, although I'm starting to feel like I have no spark AND no fuel pulse. The plugs are dry, and the ether grumbles a little bit but it doesn't really start. I'm thinking CKP is somehow not getting information to the PCM. Therefore, no spark and no injector pulse. I'll have to get under there later and check wires again. I just saw this and think I will use that little alignment tool on the CKP when I have a chance to get out there. Then I will hope that my motor starts! I think I put the CKP on upside down! I have it on so that the wiring connector is facing away from the engine, I think it goes on the other way, with the wiring harness pointing back toward the tailgate. I'm going to be very, very happy if this is the issue. OK, so I flipped the CKP over, and the truck fires! But it is running very, very rough and now has a P0340 code. Getting closer!!! It runs very very rough, and a LOT of smoke is coming from the exhaust. RonD, thank you again, I had stupidly put the CKP sensor on backwards. So now the truck does start, but it runs very very rough with a P0340 and a P0201 code. The wiring harness from injector 1 the little clip that holds it on the injector broke off, so I am going to try to zip tie it on there. Or replace the wire clip. I guess the no start condition has been concluded though, thank you again to RonD! I may start a new thread when I can find some time to get back to this truck.